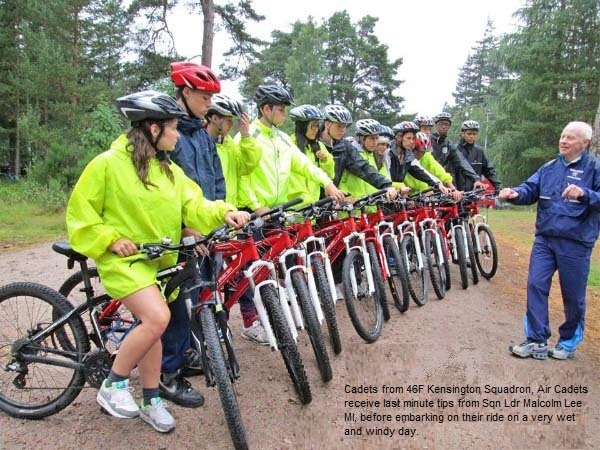 During August cadets aged from 14 to 17 years and 3 adult volunteer staff from 46F (Kensington) Air Training Corps traveled to the Highlands of Scotland for a week of multi activity adventure training. As part of the fund raising efforts, the cadets packed bags at the checkouts at the Cromwell Road Sainsburys store. They were also assisted by a generous grant form the Ulysses Trust and a Squadron reunion dinner. For most this was their first time to Scotland. 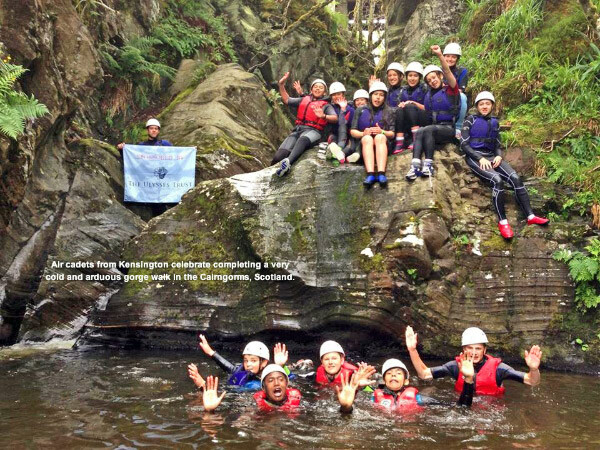 Based in Norwegian Lodge high up on the Cairngorms, cadets ventured out daily to take part in various challenging outdoor activities such as gorge walking, mountain walking overnighting in a bothy, rock climbing, abseiling, orienteering, mountain biking and swimming to name but a few. The programme provided a varied and challenging week, with each day quite different from any other. The exciting and wide-ranging week provided a unique chance to experience wild country and take part in a wide range of challenging and adventurous activities. The aim of the exercise was to encourage and promote personal qualities such as character, leadership and initiative. This was summarised each day by everyone discussing the highlights, the lessons learnt and what they all took from the experience. Evenings were spent preparing for the next day, either plotting routes or preparing and packing equipment. The lack of mobile connectivity resulted in everyone rediscovering the pleasures of board games and cards but more importantly engaging with your team both whilst at work but out of hours too. A team of local Ex-RAF Mountain Instructors who have all, wisely, remained in Scotland after retiring from the Service to be near the mountains and lochs that provide such a wealth of adventure training opportunities aided the Squadron with expert guidance and leadership. There were many highlights to the week. Cadets took part in many activities that were new to them; they learnt many skills and overcame physical and personal challenges. Not least was the very cold mountain water gushing down during the gorge walk and the high jump into a rock pool at the end, along with the early morning mountain runs every day. Making camp in a remote bothy, after a long day of hiking, cooking an evening meal and settling down for a night in the mountains was an enjoyable and lasting memory. 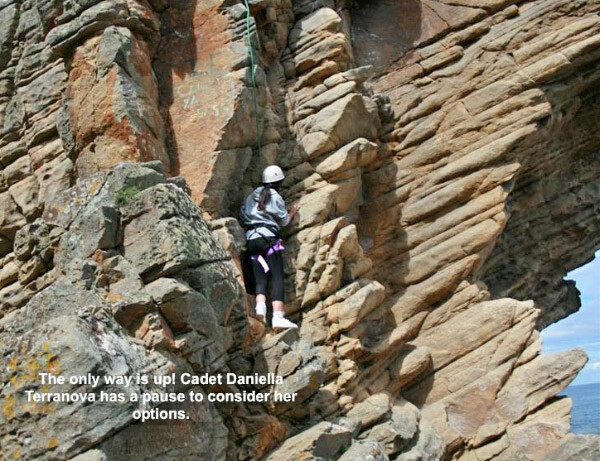 The rock climbing, on the Moray Firth coastline, provided a glance of seals and dolphins out in the bay, just as long you weren’t perched on the rock face on a rope at the time! The lessons weren’t limited to the outdoors. 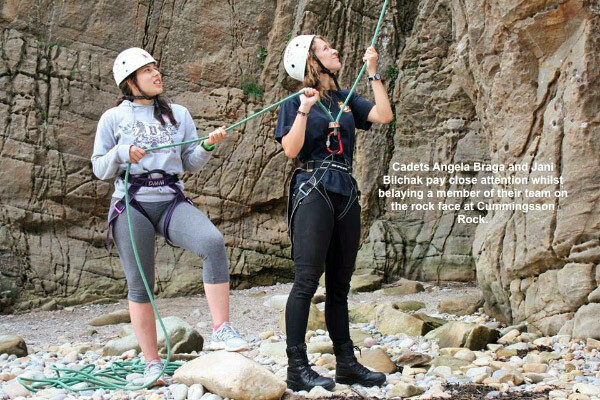 By spending a week together, within the lodge, the team of cadets and staff were engaged in daily ‘community living’ tasks. These included such things as organising a menu, cooking, cleaning and generally managing the lodge and our equipment. This enabled everyone to not only live together harmonically but also function as an effective team. The team met deadlines, maintained standards and equipment and more importantly helped and looked out for each other. By the end of the exercise cadets had developed their skills to meet physical, managerial, technical and organisational challenges. It proved to be an exciting and challenging activity that enhanced their self-sufficiency and effectiveness, both as individuals but also as a team. This will serve them well during their time with the Air Cadets and in the longer term in the work place. 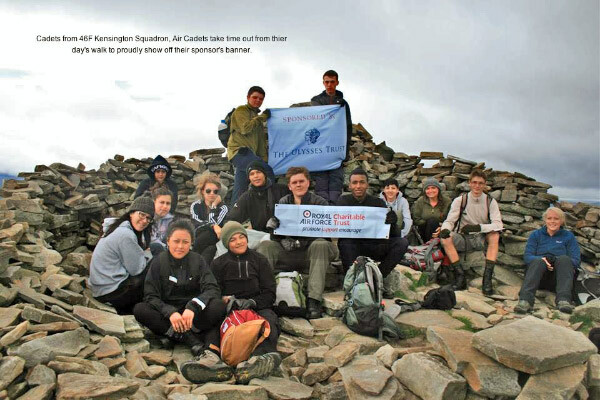 Highland Fling enabled a group of cadets from London tp experience the wilds of Scotland. The journey itself opened their outlook (for some it was the first time they had seen mountains) on their country and the possibilities of adventure within our own shores. The entire team of cadets and staff from 46F (Kensington) Squadron, Air training Corps would like to thank our supporters for our memories Exercise Highland Fling 2013.